If you want to make an impression when you are going for a meeting, carrying leather check covers is one of the best ways to do so. It is not something that is tough to acquire and it communicates that you are a structured person that goes about business in a methodological manner. A sight that involves groping in your business bag for a check book is not the most professional one and it is not likely to do much for your image too. On the other hand, if you choose to pick leather check covers for the purpose, you will come across as a reliable person to work with. One of the best aspects of choosing a leather checkbook fromPrintez.com is that you can choose from a range of options that are available. 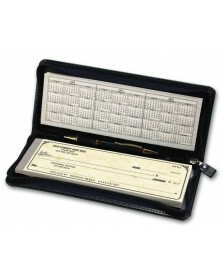 The convenience of a check portfolio also comes with a business executive organizer that can help you in more ways than one. If you are someone who prefers to keep track of appointments, meetings and contact details electronically, you can choose a leather check binder that is meant only for the purpose of holding checks and their stubs once they are used. The range of colors and styles is sure to have you wondering about the one that you fancy the most. 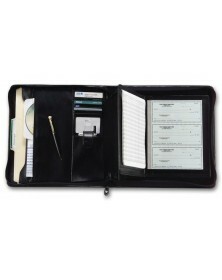 There is no denying that you can carry a check book as it is in your leather suitcase or business bag. 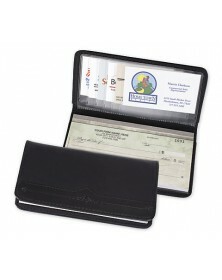 However, leather checkbook covers make you look professional, structured, classy and reliable. 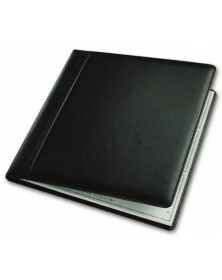 In addition to the image that a leather check binder helps you achieve, it is also a convenient and practical item to have. You can be sure that these binders will help you maintain records of all the checks that you have issued for many years; something that your accountant will be very happy about too.